Get hitched in unparalleled natural splendor! The Black Hills are famous for their beauty, and what goes better with beauty than a steamy cup of romance? Each and every one of these ranches, hotels, and lodges have a proven track-record of hosting unforgettable weddings for groups of all sizes; why not add your name to their long lists of satisfied (and now-married) customers? Yes, the term "Deadwood" doesn't exactly scream "opulent Wedding facilitator". But one visit to Deadwood's website and you'll see that almost ALL of their properties would be majestic venues for hosting a wedding celebration! 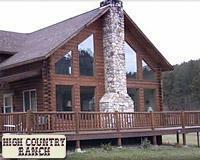 Each fully furnished Black Hills vacation rental is as spacious as you'd like, with plenty of room for hosting a large or small number of guests. The cozy, woodsy decor and beautiful scenery will perfectly encapsulate everything you want from the most important day of your life (so far). Meanwhile, you'll love the nearby sightseeing, snowmobiling, skiing, fishing, hunting, and more that the Black Hills features within! Start your new life off right; start it with Deadwood Connections. SD's population was 853,175 as of 2014. South Dakota's capital is Pierre. What’s you picturesque wedding? For many, it takes place in a quaint small town, full of charm and vibrancy. If that’s the case look no further than Keystone, and the Rushmore Express Inn & Suites. Here the workers are hospitable, the activities diverse, and the romance, exceptional. Designed with newlyweds in mind, The Rushmore Express has rooms that enthrall senses and enrapture the imagination. If relaxation is what you seek, try out the King Whirlpool Luxury Suite, where after a nice soak you can relax by a crackling fire. Or, if you feel a bit more adventurous, the Hemingway Suite is spacious and full of fabulous comforts, including a heated bathroom floor! No more cold toes in the morning! Mount Rushmore is only 2.3 miles away! A wedding should be about the love between two people, right? Of course I’m right. But it can often be difficult to focus on what truly matters when there is so much to do in planning a wedding. Why not let trained professionals micromanage the details for you, so you can simply relax and enjoy the most important day of your life? 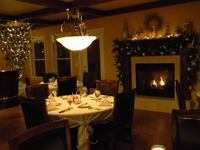 Enter Summer Creek Inn, where they promise that your wedding will not only meet, but exceed, your expectations. All group sizes are welcome, from 24 close family and friends to 150 people that you may or may not actually know. In-house catering and decorating will be taken care of, of course, and you don't need to worry about finding an officiant or DJ; they’ve got you covered. Now they even offer a post wedding brunch! And, obviously, the bride and groom are invited to stay at the Inn for their honeymoon. “The surrounding scenery provides the perfect backdrop for romance and relaxation”, they boast. That’s putting it mildly! The population was 67,956 as of the 2010 Census. Rapid City is the second-largest city in South Dakota! The Black Hills provide some of the most picturesque backdrops you could ever want for a wedding. Imagine a orange setting sun slowly sinking behind the beautiful hills, while you stare into the eyes of the person you’re going to spend the rest of your life with. Talk about memorable! Regardless of season, Spearfish Canyon is a go-to destination for weddings that would make Zeus himself envious. Spearfish Canyon itself serves as an awe-inspiring venue in the spring, summer and fall, if you have a winter wedding, you and your guests can enjoy the warmth of the legendary great room, complete with iconic 40-foot stone fireplace. Personalized care and attention is paramount, as every wedding is customized to the needs, wants and desires of the bride and groom. No wedding is “the usual”. Each is treated as a unique and special affair, just like it should be. Go check out Bridal Veil Falls (it's the perfect time, after all! ), only 7.3 miles away! If you want to get married while feeling like a cowboy or cowgirl, look no further than the High County Ranch! With 34 luxurious cabins to choose from, finding the perfect abode for your wedding night will be a piece of cake. Then begin your honeymoon with gusto: take a trail ride into the Black Hills National Forest on horseback or ATV, sample the famous Circle B Chuckwagon Dinner & Music Show, or go have a scrumptious wood-fire pizza at the High Country Grille & Pub. Not to mention the incredible surroundings that, when in the Black Hills, are often taken for granted. Hill City is the oldest existing city in Pennington County! While Recreational Springs might have a generic sounding name, it’s location, amenities, and weddings are anything but. Enjoy the beautiful South Dakota weather in their custom made open air pavilion, perfect for outdoor receptions and gatherings. If the weather isn’t being cooperative, take the ceremony inside to the cozy lodge and get hitched in from of a crackling fireplace! Don’t worry about the food: the onsite restaurant and bar will handle all of your catering needs. After the ceremony, ride off into the sunset on an ATV or snowmobile to start your new life together! The population was 3,124 at the 2010 census. Lead's proximity to Deadwood, South Dakota, often leads to the two cities being collectively named "Lead-Deadwood". Why not just call them "Leadwood"?